Plumbing problems can be compared to illnesses – it is best to discover them early and eliminate them before they can cause any severe damage. The repipe technicians at Orange County Plumbing Heating & Air Conditioning deliver industry-leading copper and PEX re-pipes that will troubleshoot a lot of plumbing issues permanently. We stand by our words delivering high-quality copper and PEX re-pipes. Renovating existing pipes in a home or business is called copper re-piping. Most homeowners decide to have their homes re-piped with copper or PEX pipes due to several reasons. First, they notice a significant drop in water pressure, usually pressure in the shower or irrigation system. Second, there is rusty yellowish water, corrosion or bursting of the pipes, and leaks that spoil water at your home. PEX is cross-linked polyethylene and the biggest revolution in plumbing industry since the flush toilet. It is easy to work with and is approved by almost all local building codes. The PEX tubing is a new advancement, flexible and available in long lengths; it can also be more suitable for “fishing” through walls in remodeling situations. Copper re-piping is very beneficial. Your water will be clear with a clean, refreshing taste and with no rust particles or other contaminants that might be inside of your dirty pipes. The pipes will also have more pressure. If you are looking for copper or PEX re-piping in Orange County, we are the right plumbers for you! Our highly trained professionals at Orange County Plumbing Heating & Air Conditioning are the best in the industry. We train our plumbers in the top-notch techniques and only install the highest quality materials. If copper re-piping is in your plans, please contact us so we can explain what the process involves and how much it may cost. Copper pipes have been the material of choice for water-supply plumbing for over 70 years. Plumbing contractors always know what kind of material copper is and which company made it, because it is accepted by practically all plumbing codes. And since copper is a natural and environmentally friendly material that won’t crack after years after installation, it has proven to be very reliable. Copper also resists corrosion. Copper pipe is light and firm; it doesn’t slump and requires less supports. Copper fittings produce smooth and waterproof joints that don’t break down or pull apart if correctly installed. Due to reliable lead-free solder connections copper pipes usually outlast the building in which they are installed, requiring hardly any maintenance. 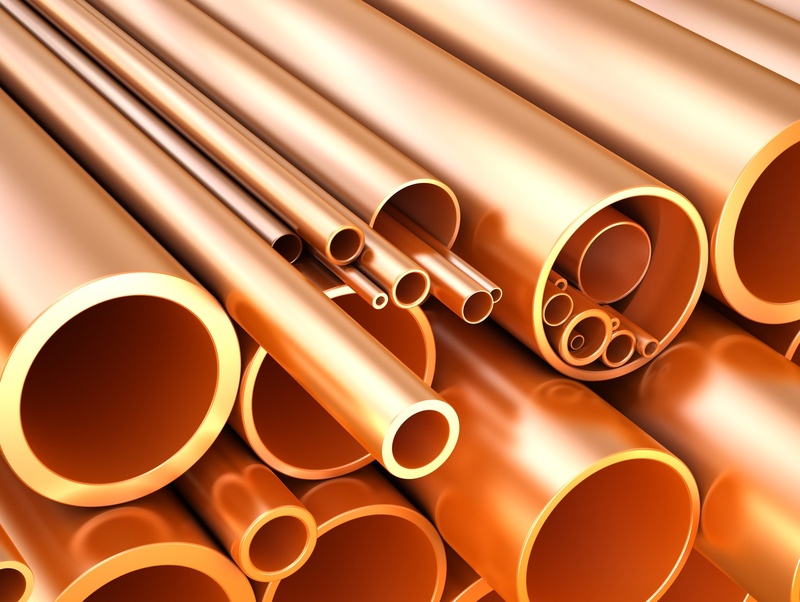 Copper is the only piping material known for such a long history of reliability. Copper systems maintain pressure when exposed to flames. Copper pipes and fittings neither burn nor support combustion and, therefore, will not radiate toxic gases in a fire. Since copper is non-combustible, it will not carry fire through floors, ceilings or walls. Fire sprinkler systems, as well as drinking water distribution systems use copper instead of plastic pipes for that reason. Copper is impermeable and biostatic: contaminants cannot infiltrate it; on the contrary, copper material hinders the growth of harmful bacteria. However, copper repiping would cost more than the rest of the materials, but that’s a life-long investment especially when you think of copper’s long-term durability and reliability. If you have more questions or wish to repipe your entire home, contact Orange County Plumbing Heating & Air Conditioning and we will evaluate repiping costs for you. Slab leaks, awful drinking water, low water pressure in the shower, or brown stains on the ceiling beneath the master bath indicate a need for copper repiping. Copper repiping is the area of plumbing service that manages replacing leaky and clogged pipes at your home. A copper repipe specialist aka a plumber whose occupation is replacing pipes. He replaces defective or damaged pipes in the household usually with copper pipes. This task needs specific skills in handling hazardous materials. Copper repipe specialists totally take apart the old plumbing and replace most of the pipes. Such a large and disruptive job shouldn’t be one of your DIY projects, it would be best to trust it to an experienced technician who knows what he is doing, taking out damaged or corroded pipes and replacing them with new and safe ones. This implies that most of the walls around the pipes will have to be damaged and repaired after the job completion. This is not a short-term solution, so if you want the job done properly, prepare for considerable money expenses. Nevertheless, the new pipes usually last 25 years or more on the average, and copper repiping might as well be a life-time investment worth every dollar spent. You can replace one pipe at a time, but that would include future damage to structural factors, such as ceilings, cabinets, or flooring, if a pipe leaks before being replaced. Small jobs every other year are still expensive and over 25 years would add substantially to replacement costs. In this case one-time copper repiping is a much more attractive option. The copper repipe specialists from Orange County Plumbing Heating & Air Conditioning will assist you in making the right choice concerning repiping your home. Contact us and we will inspect your water pipe system and evaluate the future repiping costs. 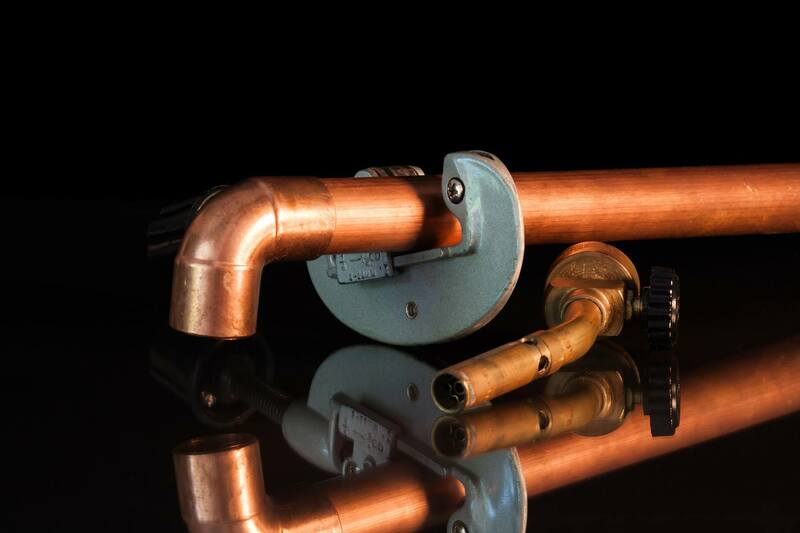 When you do realize that repiping or repair becomes inevitable, copper repipe specialists from Orange County Plumbing Heating & Air Conditioning are at your disposal to undertake the plumbing project. We will respect your property and your time, having the experience to get the job done right the first time. Why Should You Choose Orange County Plumbing Heating & Air Conditioning? SERVE our customers with honesty and competence. GO extra mile with our customers to provide qualitative services. PERFORM our work to meet local building codes. STUDY each customer’s situation in detail and gather necessary data to understand the plumbing problem, level of assistance needed and technical recommendations our company can provide. Contact our team today and get an excellent service needed to solve your plumbing problem!